Prog, psych, the cosmos, and beyond. Your fix of prog, psych, the cosmos, and beyond! *May contain traces of jazz, jazz fusion, electronic, experimental, new wave, hard rock, heavy metal, and whatever other weird music I'm into. Tune in and space out. Apr. 5, 2019 The Moog Man Interview with The Faps! Playing April 18 @ House of Targ w/​ The Pretzels/​Slow Dawn/​Organ Eyes! Mar. 22, 2019 The Moog Man Far-Out Fri-Daze #26: More tunes for upcoming shows and thingz! Mar. 8, 2019 The Moog Man Far-Out Fri-Daze #25: New releases, upcoming shows! 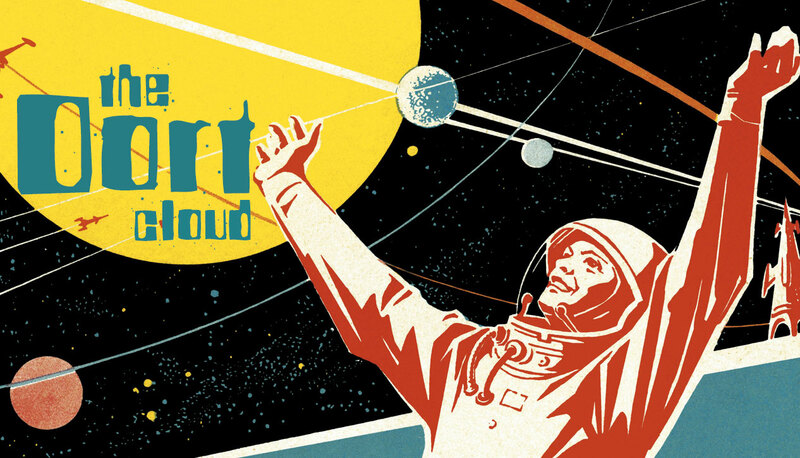 Enter The Oort Cloud every alternate Friday afternoon for your fix of prog, psych, the cosmos, and beyond! *May contain traces of jazz, jazz fusion, electronic, experimental, new wave, hard rock, heavy metal and whatever other music I'm into! Warning: listening to The Oort Cloud more than once every two weeks might destroy your brain. CKCU takes no responsibility. The home of Far-Out Fri-Daze! What's that? It's cosmic, chaotic, mixed up and far-out that's what! No real set theme or genre, just whatever the mood calls for and whatever sounds good. So tune in and space out..